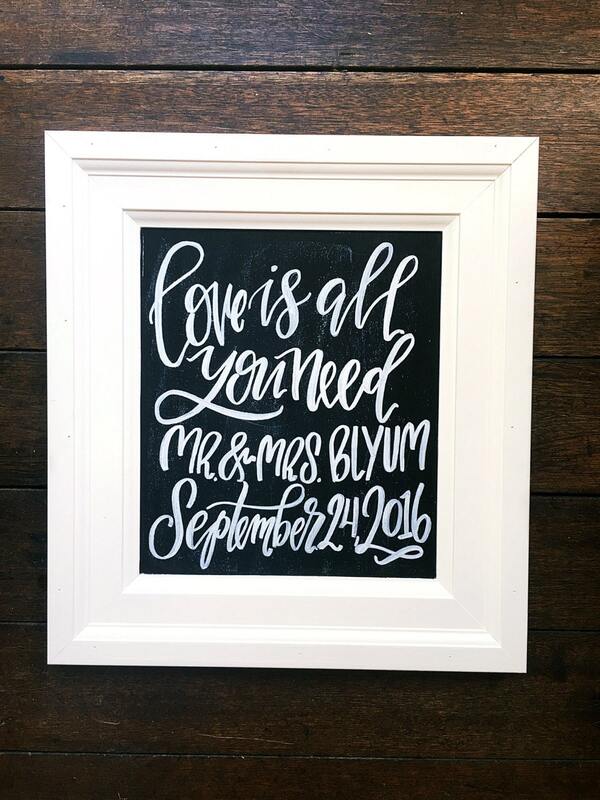 This listing is for a completely custom wedding chalkboard, created to fit your wedding theme perfectly! Rustic, classic, country, or something in between, I can tailor your signage to accent your big day beautifully. 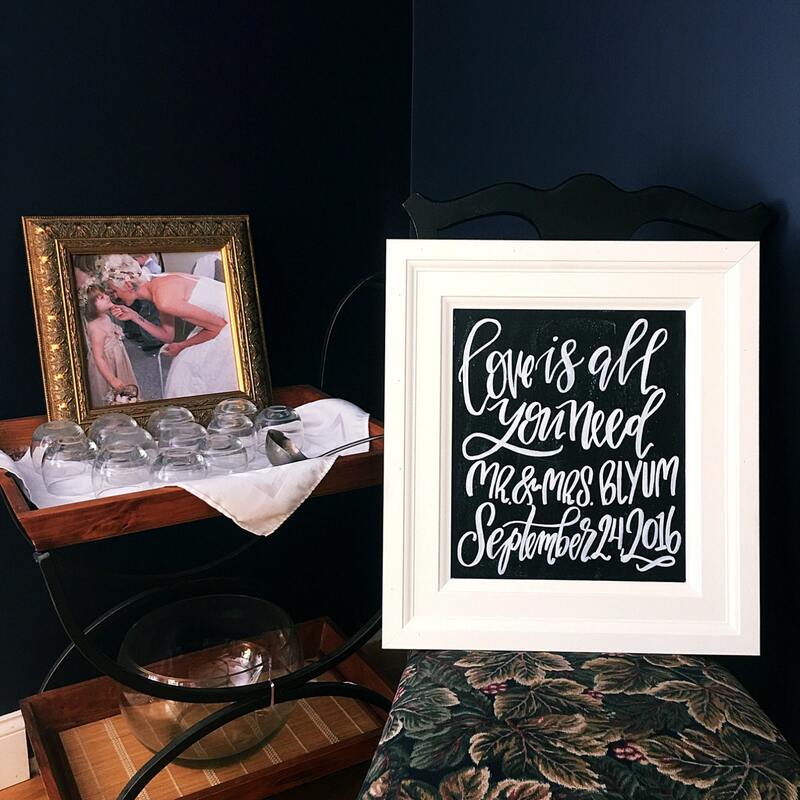 Shown in the photos is an example of an 18x24" chalkboard made completely from scratch, lettered, sized, and painted to match the wedding theme. DO NOT PURCHASE this listing! If you are interested in having custom signage created for your wedding day message me first to start the process. 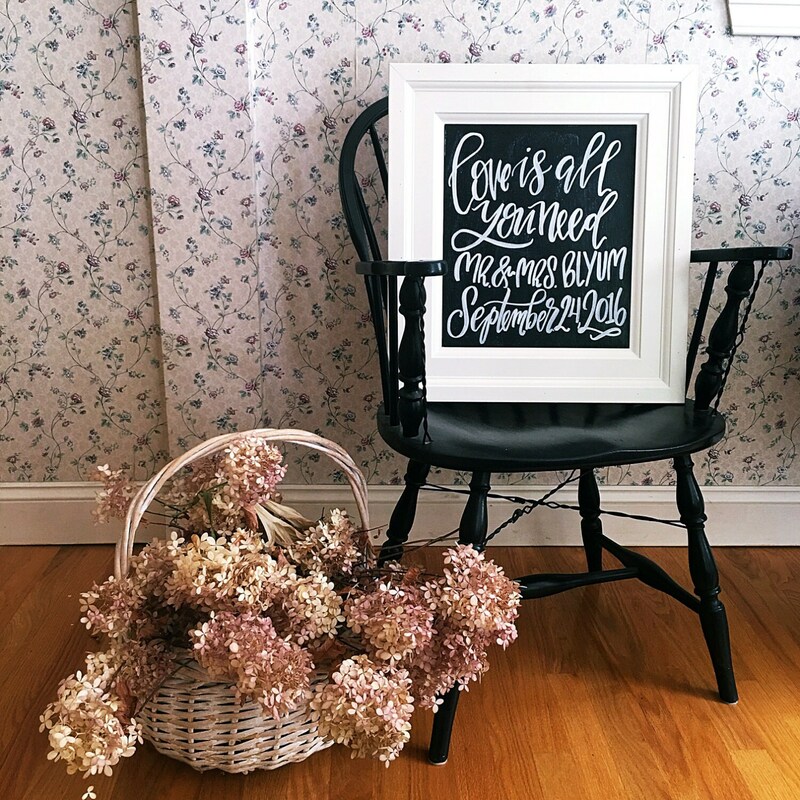 Chalkboards start at $75 for a 12x14in chalkboard. We have an in house carpenter, so they can be made from scratch to your exact specifications! The size of the project determines the timeframe for your order, but I will need a month minimum prior to the wedding to ensure that your decor perfect on the day of. Shipping is also contingent on the size of the project. If you have any questions at all simply send me a convo and I will get back to you ASAP. There is no project too big or too small, and if you can dream it up, we can create it for you! Weddings are at the heart of our business, and the reason I started The Hipster Housewife. We couldn't afford to hire people to make our invitations and decor, so I had to make it all myself and a business was born! I aspire to make your wedding as special as mine was to me!